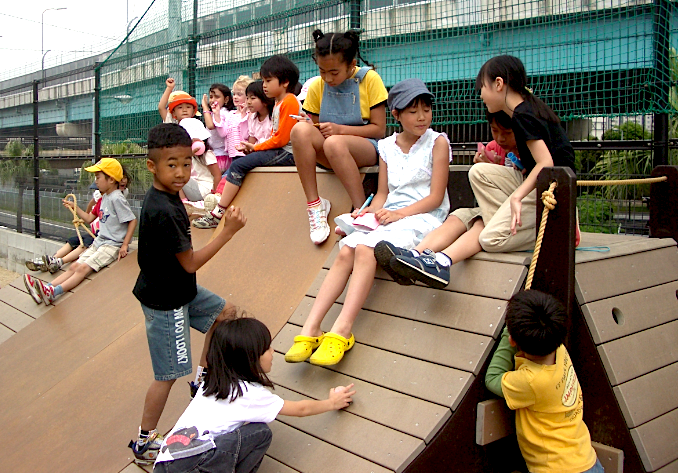 design and build an innovative, fun, safe, and multipurpose playground for elementary students. 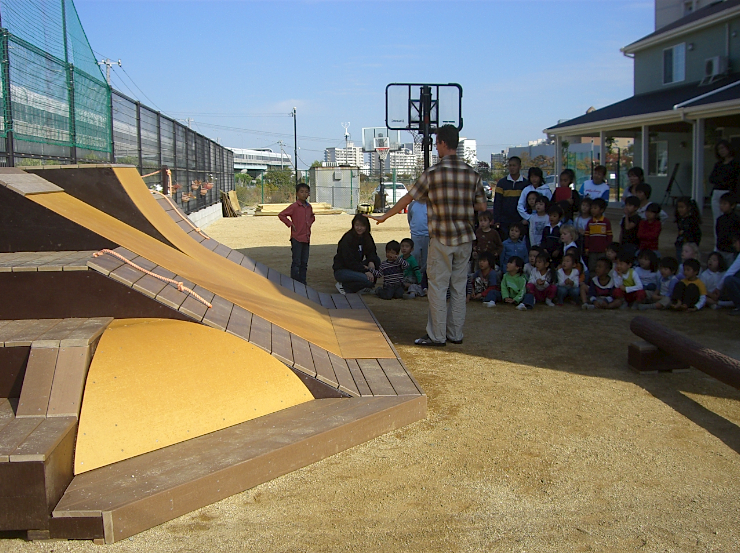 the goal of this project was to design and build a climbing and sliding playground element that could be used for both playing and hanging out. 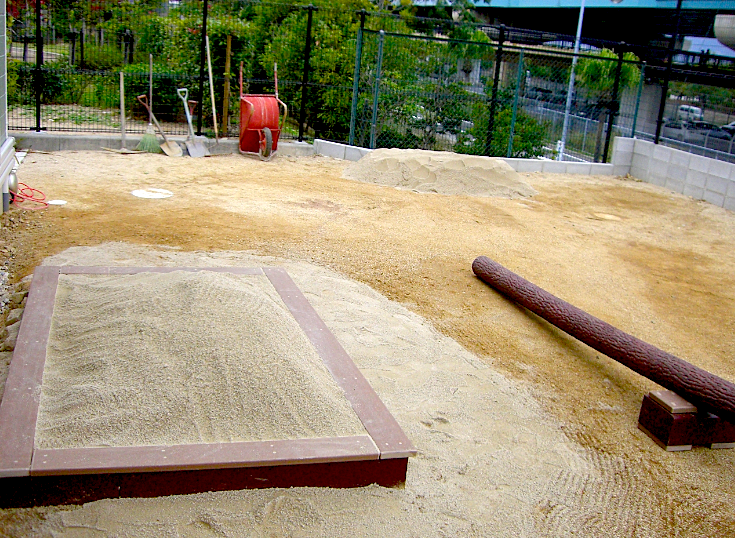 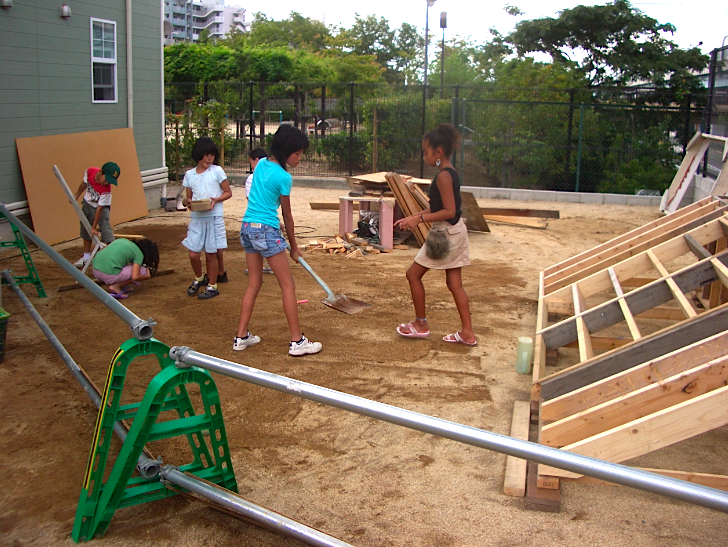 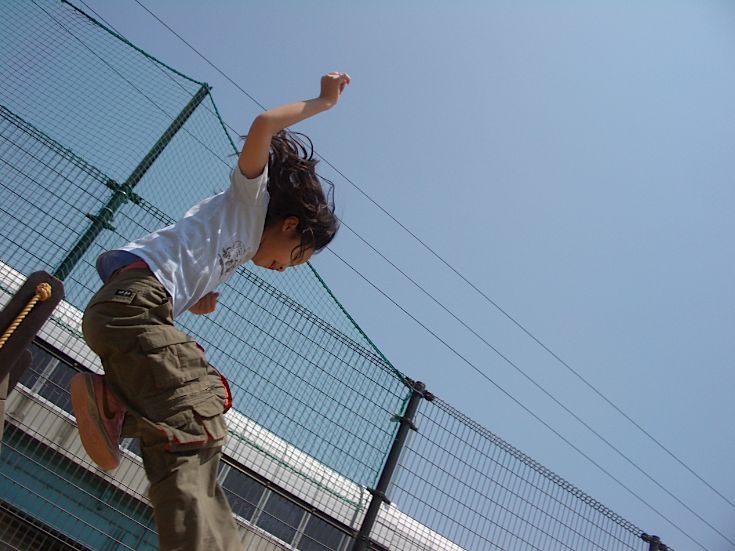 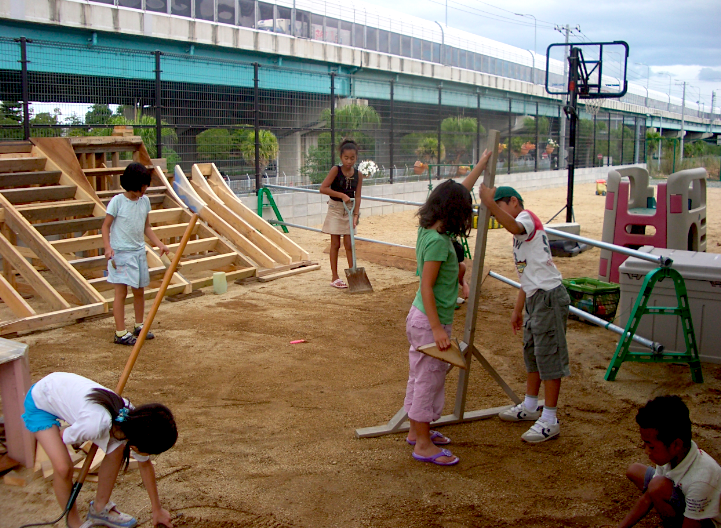 the playground needed to be safe, fun, durable, low maintenance, and suitable for all elementary level students. 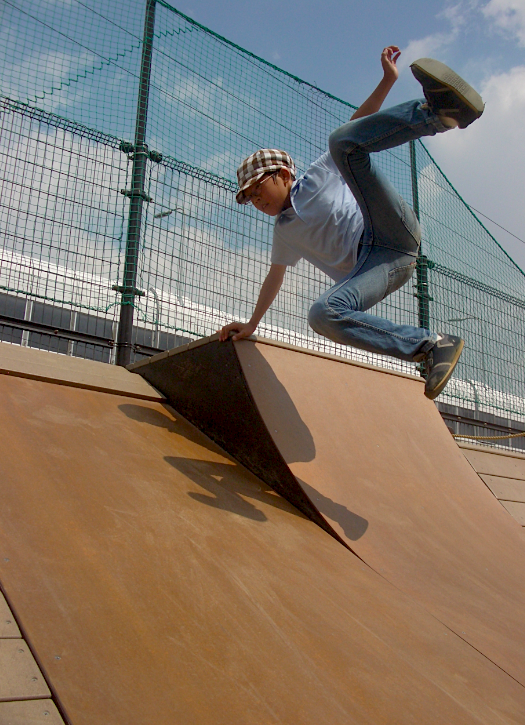 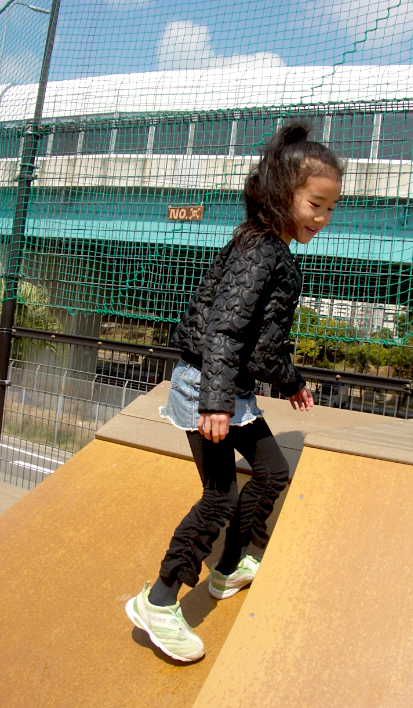 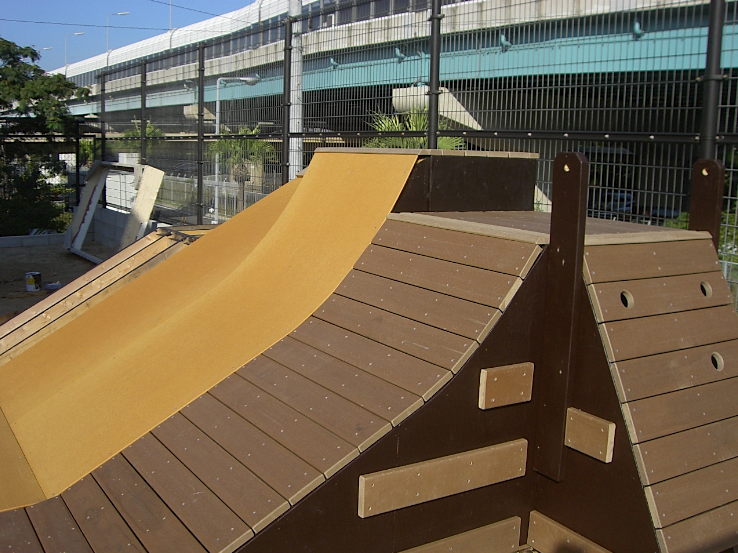 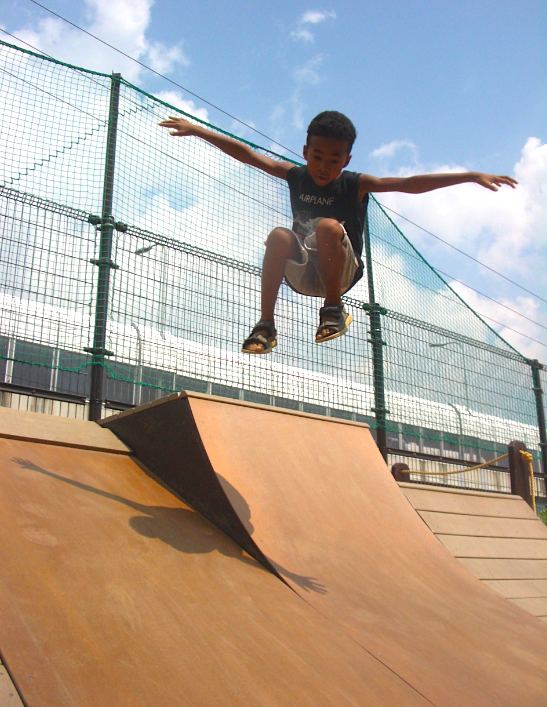 a mountain-inspired design and skate-style construction allows students to climb or slide on any surface, and open traffic flow encourages imaginative play. 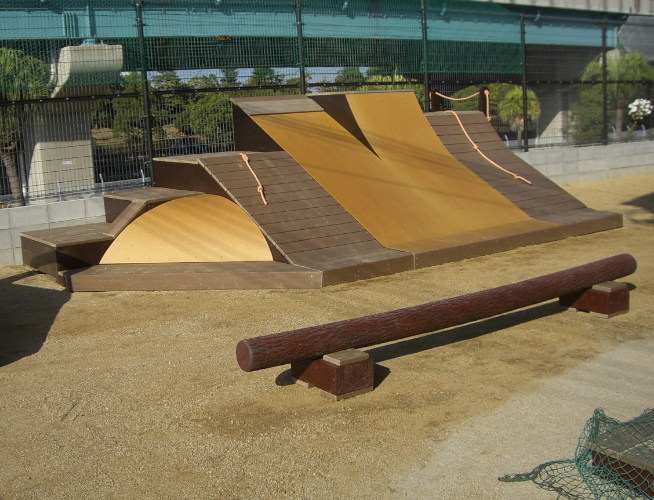 the mountain includes various levels of climbing and sliding ramps and decks, ropes, handholds, and a climbing and bouldering wall. 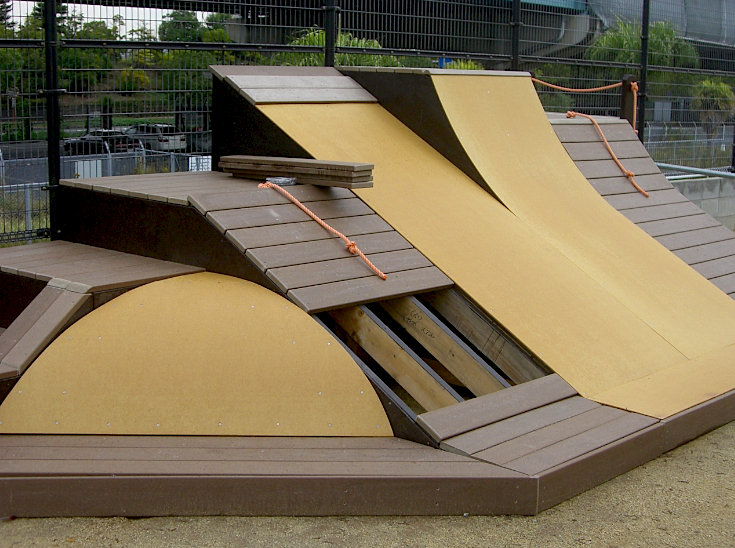 the frame is 2×4, 2×6, and 2×8 wood lumber sitting on synthetic pads, and the surfaces are covered in skatelite ramp surface and trex synthetic decking material fastened with stainless steel screws. 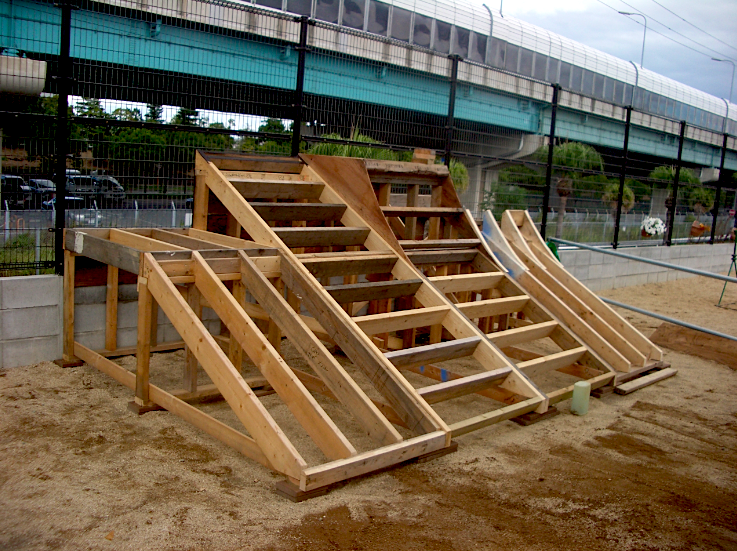 Posted in design, fabrication.Tagged ais, construction, consulting, design, fabrication, feature.